I hate posing for pictures, hence why there are so few photos of me on this blog. Hello, and thanks for stopping by my blog. My name is Josh, and I’m a “nature enthusiast” who loves to learn about wildlife. I’m also fascinated by psychology, and enjoy thinking about ways to use insights from the social sciences to further the cause of wildlife conservation. However, it has taken me many years to learn how to bridge these two interests. In 2015, I was a master’s student in Cleveland State University’s mental health counseling program. I then became entangled in a project involving the historic range of jaguars in the United States, and suddenly remembered that my oldest passion was for wildlife. I subsequently left my counseling program, started this blog, and earned a master’s degree from Humboldt State University that uses the social sciences to understand human communities’ relationships with the natural world. My research dealt with wildlife television, which I’ve summarized here. My other hobbies include hiking, writing, making coffee, and identifying problems that I want other people to solve. My Facebook and Twitter profiles contain more information, as does my first blog post. 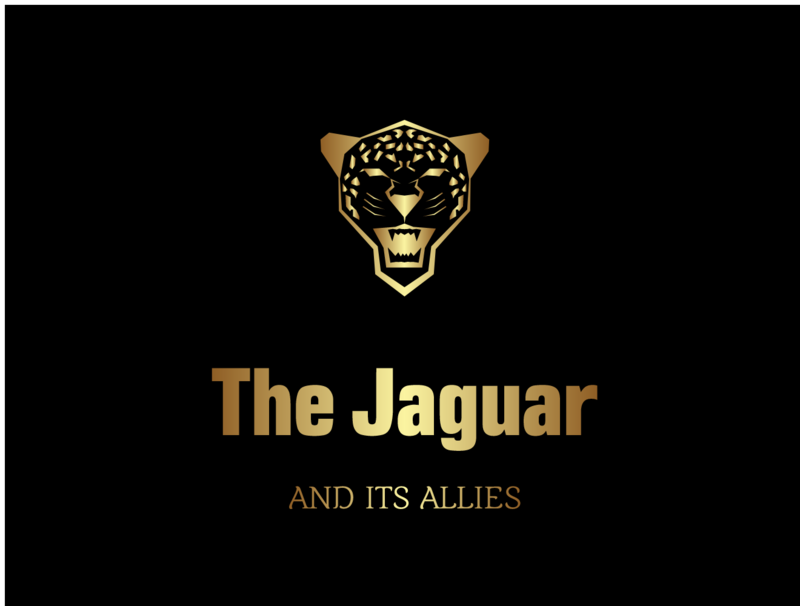 When The Jaguar and Allies first launched in 2015, it was all about big cats – especially jaguars. There were also a few posts about social psychology and the human dimensions of conservation. Slowly but surely, I’ve expanded this blog’s focus. In the summer of 2017, I had an opportunity to participate in an archaeology field school in Belize, so archaeology entered the picture. Furthermore, there are many people who are working hard to lessen the impacts of the sixth mass extinction. These include conservation biologists, communications specialists, social scientists, artists, naturalists, outdoors enthusiasts, and more. These individuals and organizations all have important roles to play, and I try to recognize their efforts through Q&A’s, interviews, and the other posts in the “Ally Spotlight” category. Thank you for your beautiful comment. It’s hard not to be fascinated with jaguars, even when compared with other big cats there’s something inherently likable about them. I would be happy to follow you as well! Wow! What an amazing log you have! Nice to meet you, Josh! Looking forward to reading your posts. This is a very interesting introduction. My step son is also obsessed by jaguars we have a few posters around the flat, my dad even painted a picture of one for him! Good luck with the blog and your plans. Thank you! I trust that it will be, it’s just going to be quite a challenge in the short term. Interesting :) Made me think because the truth is we do co-exist on this planet with other life-forms even if they are predators. Good blog :) honestly keep shining your light. Yes, even though our relation with large predators has always been a tough one we share the planet with them too. And we need them. More and more scientific evidence is highlighting the fact that top predators are essential for healthy ecosystems: not to mention how important they are for our cultures. We should try to minimize the damage they cause, but we also need to make sure animals like tigers and jaguars persist long into the future. Hi Josh, I have just nominated you for the Bloggers Recognition Award. I admire your work and have learned from you. Thank you. Paul, thank you for this nomination and your kind words. I’m happy that you’ve learned a lot from this blog, because much of my motivation for starting it was to share what I’ve learned with others. However, I think I’m going to decline this award. It’s nothing personal, I’m just trying to keep my blog focused on my main topic, because I have many things I’d like to write about in the near future. Again, thank you for your thoughts and wonderful comments! You are welcome, Josh. No worries. I can understand. Thanks for your response. Nice to meet you Josh, and best wishes for the immense task you’ve set yourself to promote jaguar conservation! Thank you! It certainly is a big task, but thankfully I’m not the only one who’s attempting it. If enough people work together on strategies informed by science jaguars, leopards, tigers, etc. will persist long into the future. You have a great blog, Josh. Pleasure to follow you. I had interest in wildlife documentaries and I am planning to write a post on making a wildlife documentary which will be a researched article. I look forward to more posts from you. Thank you Sudhir! I’m pleased to follow your blog as well, since you have a lot of wisdom to share. I’m looking forward to your post on making wildlife documentaries! Such films can be powerful tools for increasing our appreciation of wildlife. Yes.. Curious to know why you opted out of mental health counselling. It is much needed in current times. However, I am sure you made the best choice for yourself. I opted out of mental health counseling because wildlife conservation is closest to my heart. I gave it much thought, and in the end decided this is the route I need to take. That’s great. Don’t miss ‘The Mountains of the Monsoon’ full version if you can get hold of on Youtube. It is about a mysterious cat in the Western Ghats in India. Thank you for telling me about that documentary! I just watched the trailer, and am going to see if I can find the full film somewhere. I first watched it on BBC – TV while I was in UK few years ago. Their website might still have it. Usually, they archive or remove it after some time. Thank you! Yes, I do remember that conversation :) Thanks for stopping by, I’m on my way to check out your blog! It takes a lot to leave what you are doing and take up what fascinates you..! Cheers to that!! This is very interesting, and I must say, the cover picture of the Jaguar, that intriguing stare has so much within it!!!!! Thank you! I assure you that it wasn’t an easy decision to leave the program I was in, as I’d been following that track for years. But after getting a little taste of what real passion feels like I knew what I had to do. Yes, that picture is good one! I actually wasn’t going to use it at first, but was unable to get permission to post the image that was my first choice. In the end I’m glad things worked out the way they did. It just goes to show you that sometimes “failure” is exactly what we need! Hmmm a relationship between humans and large predators, I read something that its all fun and games till the predator gets hungry …..
Hmmm…now that you bring it up I’m not really sure what an expert is. To me they seem to be people whom others perceive as being so knowledgeable about a certain topic that their word is often taken as fact. I definitely don’t want anyone to think of me that way, because I still have a lot to learn about big cat conservation. I definitely don’t recommend keeping big cats or other large predators as pets. That kind of relationship has a very high chance of ending badly, even before the predator gets hungry. Love is all well and good, but it can’t undo thousands of years of evolution. I guess what I meant by “a relationship between humans and large predators” has more to do with how we choose to treat them in the wild. If these animals are going to persist in the future we’re going to have to kill them less often and find ways to provide for our own needs without altering natural ecosystems any more than is necessary. But I included the phrase “won’t be easy” because I don’t want to sound overly idealistic: big cats do sometimes cause problems and we’ll need to deal with them in ways that impact their populations as little as possible. Yes jaguar cars count, because they’re awesome! The Jaguar company has also given lots of money to jaguar (the animal) conservation in the past, but I don’t know what they’re doing right now. Thanks for your detailed comments! I appreciate the fact that you read this post so thoroughly, and you really made me think (in a good way)! On the relationship between man and beast…. I feel making a pet of it (even if it could be tamed and all) just takes away the wild majestic grace they have…. Hi Josh!! Nice to meet you. First, sorry my English :-) ! I am not fluent but I am trying. Beaton is right. The world is a big, big place and the Nature have so many details that we couldn’t imagine. We learn with each step taken and the jaguars and pumas (in my case, they are my target and my teachers! ), as a big predators can teach us so many things about the ecology, biology and environment. But I think the most difficult thing is to understand the human mind. Why people still kill these animals, even though some of them not have any more problems, for example domestic animals predation. Good have more researchers working in that. Good luck! (just to inform, recently I asked help to Jaguar car and unfortunately they do not help conservation project anymore, just technological and something else in these area). Hello Claudia! It’s wonderful to talk to you! I’ve been reading a little bit about you on Jonaton’s blog, so I’m thrilled that you’ve contacted me. I’m afraid the human mind is almost as complex as nature. It’s difficult to make generalizations about why people do certain things, like kill big predators even when they don’t seem to have problems with them. Obviously I’m very new to this field, but some factors I’ve seen come up in the literature I’ve read are social and cultural norms, protesting against unfair treatment, and for “the thrill of the hunt.” But while these results help give us a better idea of the general reasons why people might kill large predators, it might be hard to know why specific individuals or groups of people behave the way they do without spending time getting to know them. Also, I know this isn’t really scientific, but from my counseling training I’ve seen that sometimes people don’t fully understand why they do what they do. Sometimes people have been acting in a specific way for so long that they can’t easily describe what their reasons are. I wonder if that could sometimes be true for why people kill big predators? That’s too bad to hear that Jaguar cars doesn’t support conservation anymore. I was thinking about asking them for help for my thesis research! Lastly, would it be easier for you to communicate in Spanish? I know a little bit of it, and I understand that Portuguese and Spanish are similar. Hi Josh! Nice to meet. I like your passion about these majestic creatures, jaguars. I’ll be catching up to read more of your informative posts. Once again, thanks for visiting my blog. Much appreciated! I highly recommend you do! Jaguars are such fascinating and understudied animals! And I found that learning about jaguars has made me more interested in learning about the creatures they live with, and the ecosystems they help maintain. Nice to meet you. Now I must say that your Blog title caught me, I find it so strange and yet so intriguing. Looking at your page then I grasp on your personality immediately. Quite an anventuruous spirit and I like that. I am curious how are you doing it? I mean jaguars & you..I admire this courage. As a commoner there is an innate feeling in us that we can’t be lax when these type of animals are around,I mean,Hey,It’s Jaguar! As I am fascinated by metal health & wellness, I hope you don’t mind that I follow your Blog. Thanks and I look forward to know you more. Thank you so much for your comments. I’m particularly pleased that you can get a sense of my personality from my page. Since many of my posts are research-based I have been wondering if I’m hiding myself from my readers, and I’m glad to hear that I’m not. I won’t lie, I am nervous about encountering a wild jaguar. I know all the research says that they’re by far the least aggressive big cats, and possibly large predator, towards people. But I am subject to the same instinctual reactions as everyone else. Since I’m just starting this journey I probably won’t be working in the field for a while, but if I ever do meet a wild jaguar (many jaguar scientists never do), I’ll just have to use my rational mind to calm my fears. As for how I’m currently pursuing my goals, I’m just taking one step at a time. Right now my top priority is getting the education that will allow me to do what I feel like I’m meant to do. I’m honored to have you following me! I’ll check out your blog as soon as I get a chance. Thank you for taking the time to respond. I meant it when I say that your personality is exuded by what you are writing.Not all people share the same passion & interest that you do but when people notice it, it means its interesting enough to dig in. I’ll be following up your stories & musing about your Jagged Jaguar edged-life..:) & thanks a lot for dropping by my page. I appreciate it! Thank you again for your compliments! I’m happy to have you following my blog, and I will be following yours as well! 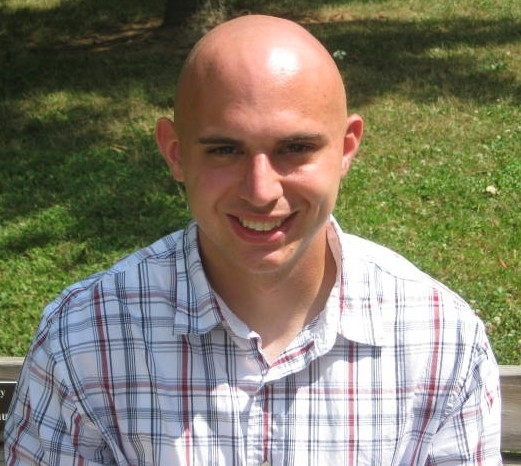 Josh, thank you for following my blog. Thank you Robert, I appreciate this nomination! Unfortunately I’m going to decline it, because I’ve already done a Leibster post and want to keep my blog focused on my main topics. But I am grateful for your support nonetheless! Looking forward to see your posts on WildLife. I am a big fan of Wild Cats and have been a avid follower of NatGeo. Awesome blog!. I agree with you we earthlings can all co exist with a bit of effort. I’m happy you agree! It’s going to take a bit of effort and a great deal of re-conceptualizing how we view our place in this world, but coexistence is possible. Josh, I know all about following your passion. For years, I was following what I thought was my passion but was really what others said I was good at. I was very depressed because I couldn’t work thanks to physical and emotional health issues. Then one day out of nowhere my passion and ability to put words to paper/screen came back and I knew I had to pursue it. I really look forward to following along as you pursue your passion. Thanks Lydia! I’m happy to hear that you eventually re-discovered your passion for writing, despite the many challenges you’ve had to deal with. I always knew counseling wasn’t really my passion, but I pursued it because it was a good fit for my skills. But similar to how your enthusiasm for writing reemerged out of nowhere, my love of wildlife came flooding back too. I knew then that I couldn’t ignore it; again much like you. :D Yes I surely will! The pleasure is all mine, truly. I’m happy to be able to follow you as well! Thank you for the wonderful comment, Karen! It’s my pleasure to follow you. Hello Shay, thanks for your lovely comments! I honestly don’t know much about exercise science, except for how to overdo it and get hurt 😝 So I’m sure I’ll learn a few things from you! You’re absolutely right that my current field is both different and similar to my previous one. It’s still a type of psychology, so much of what I learned about human behavior and building relationships still applies. But since it’s focused on applying that knowledge to wildlife conservation there’s a whole new dimension to it, and I have a lot of catching up to do on the biological stuff! You’re one of those people to! You have a fondness for learning and teaching about how to stay fit and healthy, which are very important! Small world indeed! Although like I said I won’t be in Ohio much longer. With luck I’ll be able to leave Cleveland before it gets destroyed during the Republican convention! Oh you have chosen to go to school in Cali? now with that being said, do you plan to stay in Cali, even after school or no? Why did you choose Cali for schooling? :) curious because I have never been to that state and I with you as far as the ‘republican convention’. I had originally planned on moving to Columbus this year as a start in a bigger city but I decided I would continue my education (just a year if I am lucky) and go from there. I am not a HUGE Ohio fan but I haven’t had much time to research other states of interest yet. Something I hope to do soon, so that I have an idea of where I want to be in life, ya know? Also, good luck in school! This new field seems harder to me too. I mean counseling can be incredibly difficult, there’s no doubt about that. But now I’ll be trying to reverse species declines in an age of unprecedented resource use, globalization, and massive inequality. Not easy. I chose to go to Cali mainly because I really like the program I’m going into. It seems like a great way to learn about the human dimensions of conservation. It will also help to be living in mountain lion territory, as that will open up many new learning opportunities! Ohio’s not horrible, but it’s also not my favorite state. There are lots of good higher education opportunities here though, and I’m glad you’re taking advantage of them! I know what it’s like to not know where you want to be in life! As hard as it might be, try not to worry about it and just take things one step at a time. Eventually you’ll figure it out! Hey thanks for the uplifting words! Great way to start my night out by hearing encouraging words :) I appreciate it! No problem! And I just realized that I forgot to answer your question about whether or not I plan on staying in California after school. At this point it’s too early to tell. What I’d like to do more than anything is spend a serious amount of time in Latin America (preferably northern Mexico or somewhere in the Amazon rainforest) studying the factors that determine how people act towards jaguars or other wildlife. So if that works out I definitely won’t be staying in Cali! Thanks Ranjini! It’s always good to come across another big cat lover! It might be a week or two before I’m able to release new material, but if you look through my archives there are a lot of posts that might help you learn more about big cats. There’s also a recommended reading section in the menu bar at the top of the blog that contains a list of some of the books that I’ve found to be helpful. Josh, the jaguar is the national animal of my native land, Guyana. Two of them appear on our Coat of Arms. Hello Rosaliene, and thank you for the information! I knew the jaguar was the native animal of Guyana, but I hadn’t realized they appeared on your coat of arms. I’ve never been there, but from what I’ve seen Guyana seems like an incredible country. The amount of biodiversity there boggles my mind, especially since I come from a region of the US where much of the native wildlife has been lost due to overexploitation. In fact I’d love to be able to go to Guyana one day to learn more about how people relate to and value animals like jaguars. Thank you! I appreciate you returning the favor, and for introducing more positivity into people’s lives! That’s an important goal in these difficult times. Your blog sound interesting, you’ve got my “follow”. Check out the Cape Leopard Trust here in South Africa, sounds like you have very similar aspirations. Hi Jacques, and thanks for the follow! I checked out the Cape Leopard Trust, and we do indeed have similar aspirations; I’d love to be able to speak to them more. I’ve become very interested in South Africa as a result of a live safari program I watch that airs from Djuma Game Reserve in the Sabi Sands, and would relish the chance to visit your country and learn more about its wildlife and people. So your recommendation to check out the CLT has definitely got me thinking! Glad to hear. Keep up the good work! Your avatar drew me in, beautiful picture! Wonderful blog. I look forward to following. It makes my heart so very proud to ‘stumble’ upon blogs like yours, people who devote their lives/energies to living species that cannot speak for themselves. When I lived in Guanacaste Costa Rica, I ‘later’ realized that I shared my quiet ecosystem with a jaguar, who sometimes left calling card footprints near my door. It was a comfort to know that it/she sometimes shadowed me on my night walks to the little publito – more times on that walk home.. I felt as if she accepted me into the environment and watched over me, as did the howlers who slept over my roof many nights, and eased away in the dawn. I think that’s one thing wrong with much of today’s society: they’ve lost touch with the soul of nature; we – as a society of the world – need to return to nature to heal not only us, but for us to help nature heal as well. i am not online often, but look forward to your posts. Thank you for your wonderful comment! I had similar experiences as you whilst living in an archaeology camp in the Rio Bravo Conservation Area in Belize. There were multiple jaguars in the area, an occasionally someone would catch a glimpse of one or come across their signs on the ground. I’ve seen domestic sized cats that resemble snow leopards etc and they are stunningly beautiful. I don’t know enough about the breeding to know if this is a good idea or sheer cruelty like ‘teacup’ pets. All my animals are rescues and I think that’s the right way to get pets but – oh how I’d love to pet a tiger or leopard or cheetah! Inter-breeding different cat species, even if it’s possible, is always cruel and inhumane; they tend to have serious genetic defects and miserable lives. Look up “problems with ligers” for some articles on this topic. Rescue pets are the way to go! There are so many dogs, cats, and other animals out there who need good homes. Thanks for adopting rescued animals! There are serious concerns about Eduardo and his ethics, so no need to be jealous about the people in his videos. They might be complicit in abusive practices, but no one knows for sure because Eduardo won’t let anyone investigate. House cats make much better pets than tigers or jaguars. I am so glad we found your blog. Jono and I met at University he studied environmental science and I studied a social science degree majoring in environment and society (so sounds a lot like your course!). I look forward to reading more of your posts over time. I’ve worked a lot in the environmental education sector so bridging the gap between environmental science / communicating this and engaging the general public seems to be a common interest we have here! When I was working (before we started traveling) I often struggled trying to explain to family/friends exactly what it is I ‘do’. People don’t always seem to understand the link between social sciences and conservation (let alone how there are jobs in this field) so you can imagine my delight to read about someone else who does exactly that! What was your job before you started traveling full-time, if you don’t mind me asking? I started off in uni as a feature writer for a blog on ethical consumption, which unfortunately didn’t last long. Then when I graduated I worked in waste education, going into schools and community groups teaching them about waste, recycling, how to best avoid producing waste in the first place etc. Then I worked for a university as the ‘sustainability engagement coordinator’ which I LOVED. It was a brand new role so I had a lot of freedom to do what I wanted with it. I started some staff and student championing programs, did a lot of community work newsletters, social media, etc. Put on short film competitions on varying topics and ran events throughout the year like sustainability week, Fairtrade fortnight, national recycling week and ride to uni day. That’s good to hear! I’m glad you were able to find so much work! Although I should say I was very lucky to get work straight after graduating. I can’t say the same for everyone in my cohort. Once you do land a gig in the industry though more and more opportunities open up. That’s good to hear! I’ve got plenty of “first gig” offers, but they’re all unpaid, so not options I’m rich enough to take.